Peripatos of the Acropolis. Photo: National Hellenic Research Foundation. Professor Wolfram Hoepfner will give a lecture entitled “Philosophers in the Peripatos of the Acropolis”. It is the opening lecture of the new series “THE CIRCLE, Dialogues for Greek and Roman Architecture”, that will take place in Athens between October through December 2016. 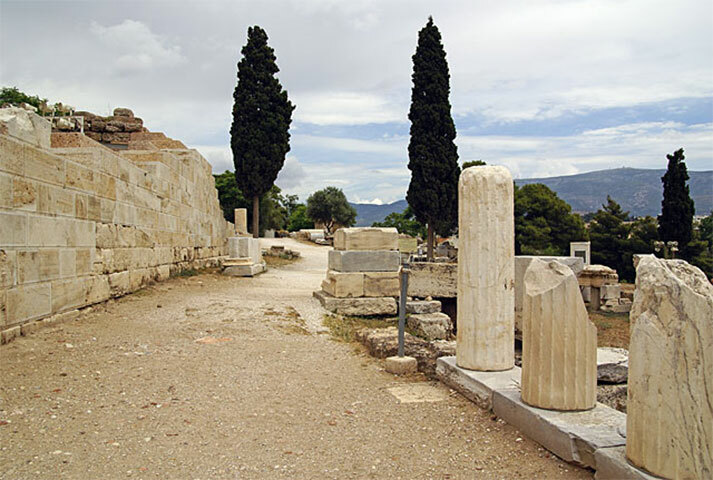 The CIRCLE offers a forum for meetings every other week, on Monday evenings at 7 p.m., in Greek institutions and foreign archaeological schools of Athens (language of presentations is Greek and English).